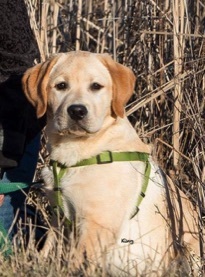 Our breedings are carefully planned to help produce sound and true representatives of the Labrador Retriever breed. Our dogs have OFA and/or Pennhip for Hip and Elbow clearances, eyes are cleared annually and we also take advantage of genetic testing for Optigen, CNM and EIC. 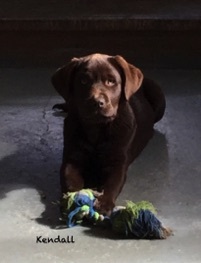 Puppies have a full 4 year written health guarantee, are vet certified before leaving at 8 weeks of age and come with 6 weeks of free Pet Plan Insurance. Our young pups are very well socialized and are exposed early on to different sounds, smells, surfaces and textures by being introduced to a Doggy Activity Centre. A video of this can be seen below. 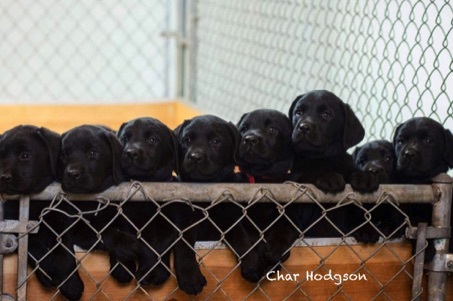 Great care is taken to ensure our dogs are properly placed in their new homes. 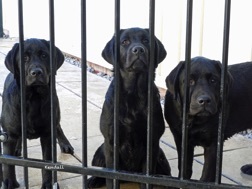 A non-refundable deposit is required to hold a puppy from any Cawarra litter. We are hobby and not commercial breeders and we do not ship our puppies. 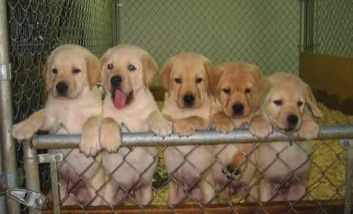 Please view this page for any current litter information. Reservations are recommended. 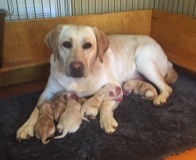 Here are some photos of recent litters and cawarra puppies. Please remember when making your inquiry to include information about yourself and what you are looking for in a future Cawarra puppy. We are planning litters in all three colours for 2019. Please feel free to inquire about our Foster Program. 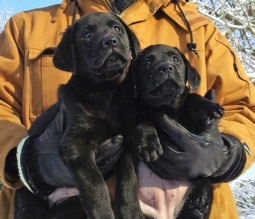 Scully and Halton puppies arrived safely April 3rd and will be ready in early June 2019. 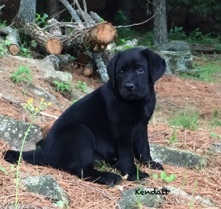 Brooke and Midas puppies arrived April 4th and will be ready in early June 2019. We have no older dogs or young adults at this time. 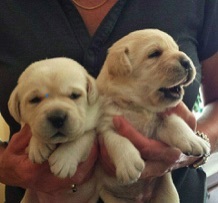 Once we make our decision on which female to keep we will have either a black or yellow girl available at 8 weeks. If you may be interested and don't care about colour feel free to contact us.